Submitted by Kevin Dickerson on 5 February 2019. The weather has been in charge these past few weeks. Flights were cancelled again today. I kept busy today using Skype to chat with several classrooms in the U.S. This is me at 5am this morning, chatting with students. 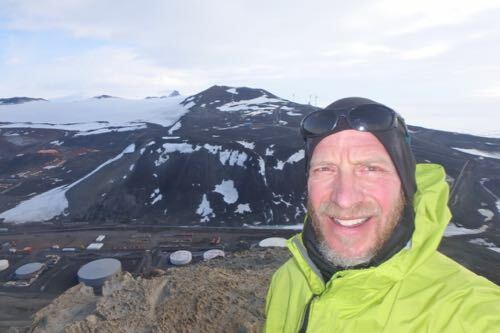 I am standing on Observation Hill overlooking McMurdo Station and the Ross Sea in the background. 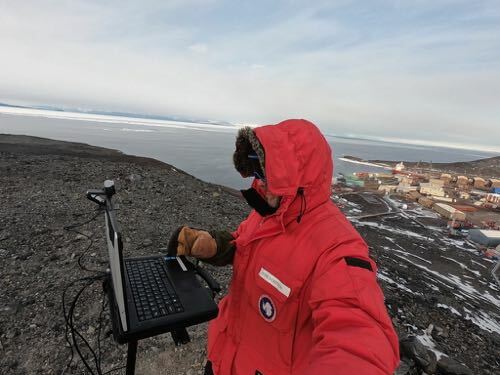 The visits went great, considering the challenges the technology faced to chat live to the other end of the Earth, from up on an Antarctic hillside. 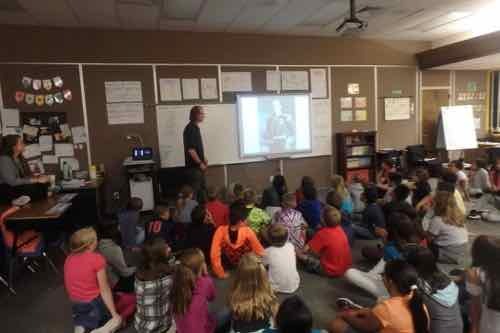 Using Skype to chat with students back in the U.S. Question: Is the climate warmer? Answer: Over the entire Earth, few people doubt that our climate is warming. Antarctica is kind of different. It has the Antarctic circumpolar currents (air and ocean) that kind of isolates it from factors that tend to warm other places on Earth, like the Arctic regions. Here is a website to read more. Question: What are the habitats like? Answer: A habitat is the home of living things. I like to break down Antarctic habitats into two categories – marine, and terrestrial (living on land). I will add the word "ecosystem" to our discussion. It includes the physical characteristics and the living things. Now, one more definition, "food chain". Let's put it all together. The dry valleys are the driest, harshest places for life to be found. So now, what life am I talking about? No plants at all. No mammals or birds. No insects. No fish. They are microscopic animals found in the dry soil. Small worms. Some of those are grazers, eating the bacteria that get their energy from the Sun, others are predators. That's about it. Sun, bacteria, and then microscopic animals. Much more simple than the aquatic ecosystem of the ocean. Question: What landforms do we see? Answer: We share Ross Island here with Mt. Erebus. It is the 2nd tallest (over 12,000 ft.) volcano in Antarctica and the most southern active volcano. There are several other volcanos here. We fly over several as we cross the Ross Sea on our way out to work in the Dry Valleys. Volcanic rock is very abundant. 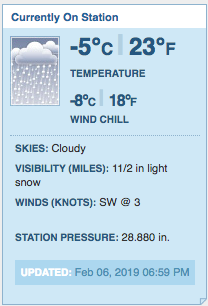 Question: Where do we get power in McMurdo? Answer: Most comes from diesel fuel brought in by tanker. It fills the tanks here that can run the station for more than a year. There are also windmills here on Ross Island that adds power. I have heard that the windmills supply about 15% of the station's power. Solar power is used out in the field camps. If you look over my shoulder, you can see the station's windmills. I am up on Observation Hill. Question: Do compasses work? Answer: Some do better than others. Check out my journal I posted yesterday. I made a video demonstrating my hiking compass and my GPS compass being used here. 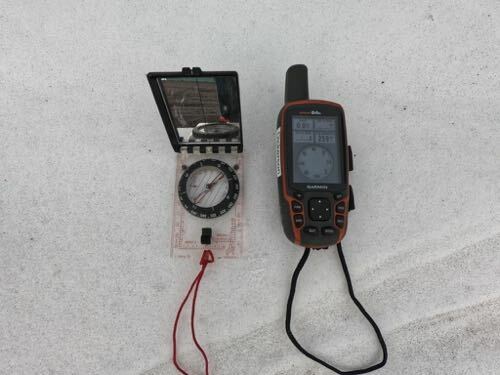 My hiking compass and GPS compass was demoed in a video I made in yesterday's journal. Check it out. A big shout-out to these awesome students at Windsor Elementary School. They asked me some great questions today. They will make some great scientists. Join PolarTREC for a live event from McMurdo Station, Antarctica. The event will be held on Wednesday, 6 February 2019 with teacher Kevin Dickerson and the 2019 Dry Valleys Ecosystem Study Team (the Wormherders). The one hour event starts at 11:30am Alaska Savings Time (12:30pm PST, 1:30pm MST, 2:30pm CST, 3:30pm EST). The event is free. Register here. Kevin check your alpine email have some questions.